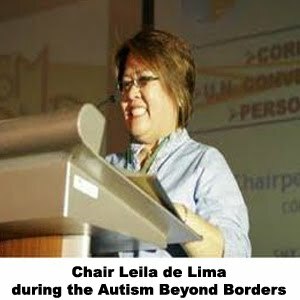 The website of Autism Society Philippines is regularly updated with posts, on those who advocate for persons with disabilities, useful information, relevant events, and especially the stories of persons with autism spectrum disorder (ASD). This does a number of things. The website helps to educate the public at large regarding ASD, and it also helps to organize those of us who are advocates and human rights defenders. But in addition to that, the website precisely makes it possible for people, to develop the personal connections, which undo apathy. Readers may be inspired by the experiences of those who tirelessly work to further the rights of loved ones, or complete strangers. And visitors may be moved to action by the stories of those who experience autism spectrum disorder first-hand. In fact, the Autism Society Philippines website was recently recognized for the high caliber of its content, when it was named the Best Advocacy Blog in 2009, by the Philippine Blog Awards. We need to tell our stories and share our experiences. We need to open other people’s eyes, help them to understand, but more than that, help them to care. The internet offers us an opportunity to reach out to the wider world, and to give persons with disabilities and the people who look out for them, a stronger voice in the community.